Open VS Closed Rhinoplasty | Which is Best For Me? Do you know the difference between an open rhinoplasty and a closed rhinoplasty? These two variations are both used by Dr. Rahban, since each one has its strengths. Because he has first-hand experience performing both opened and closed nose jobs, Dr. Rahban can give an unbiased and truly expert opinion on the advantages and disadvantages of each type. Here we’ll give you the details about open vs closed rhinoplasty, and what difference they can make to your nose job surgery. Before considering an open or closed approach to rhinoplasty in Beverly Hills, it’s important to understand exactly what this operation is: a rhinoplasty is a set of surgical enhancements to the nose, to improve upon one or a number of issues. Although a rhinoplasty is most often a cosmetic procedure, there can be medical benefits to aspects of this surgery as well, including the ability to breath better. These factors can be corrected with rhinoplasty. During any rhinoplasty, the surgeon lifts up the skin of nose, makes changes to bone and cartilage, and puts the skin back down. The art and science of customizing each rhinoplasty happen when the surgeon carefully decides exactly how the bone and cartilage will be altered to achieve the patient’s goals. It is important to know the differences in open or closed rhinoplasty. 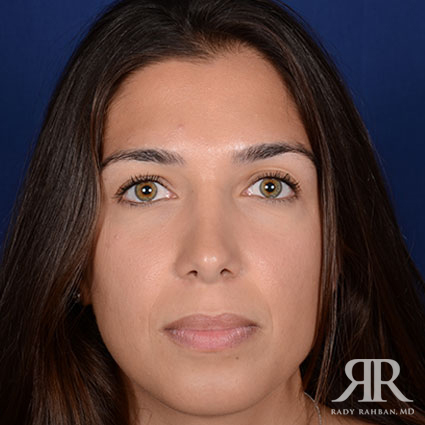 In rhinoplasty, the bone and/or cartilage will be altered, and there are only two ways to access these structure of the nose so Dr. Rahban can make the necessary changes: open and closed. During the closed rhinoplasty approach, 2 incisions are made within the inside of the nose. It is through these incisions that all alterations will be made. An open rhinoplasty includes the same two incisions, but with one additional incision connecting the two, across the columella. That final connecting incision is called a trans-columellar incision, and it allows Dr. Rahban to open the skin of the nose - or unveil the nose. Depending on what the surgeon is trying to do, each approach has its advantages and disadvantages. An open rhinoplasty allows you to measure and truly analyze the anatomy of the nose. A true expert in rhinoplasty, Dr. Rahban spends substantial time examining and understanding the anatomy of each person’s nose, so he can do the most detailed and accurate of work. An open rhinoplasty gives the surgeon the ability to see any asymmetry or abnormalities that were not clear from an external examination. Beyond being able to better see the anatomy of the nose, the open rhinoplasty allows the surgeon to be much more precise. Given that the nose is such a prominent feature, and such a delicate structure, the more precision in a rhinoplasty, the better. 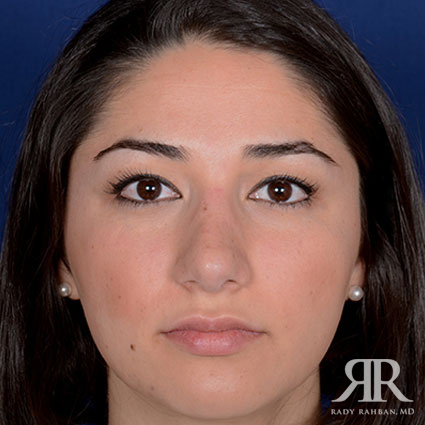 The final advantage of an open rhinoplasty is that in the case of Dr. Rahban’s surgeries - he tends to use advanced cartilage grafting techniques for many of his cases. With an open rhinoplasty he is better able to - and more accurately - place the grafts which give more long term support and structure. For these reasons, an open rhinoplasty lends itself to better access and better results. Those who do not like using open rhinoplasty tend to cite two reasons for this. First, an open rhinoplasty results in a scar because of the trans-columellar incision. While this is true, the scar heals so well in most cases, that it becomes virtually invisible. After this patient’s open rhinoplasty, her scar is virtually invisible. The second often-cited disadvantage of an open rhinoplasty, is that many people say there tends to be more swelling than with a closed rhinoplasty. While it is true there is generally some more swelling with an open approach, Dr. Rahban believes that the advantages in terms of the accuracy and level of detail, well-outweigh a little extra swelling that is short term. 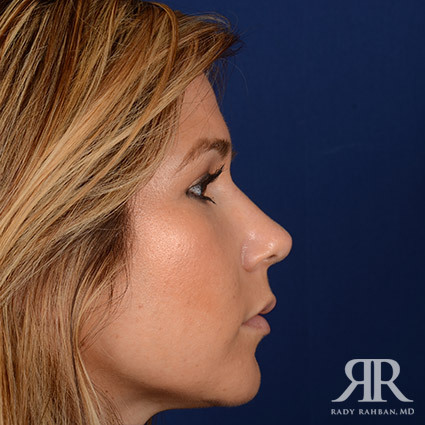 Although Dr. Rahban prefers an open approach in many cases, he believes a closed rhinoplasty can be a very viable approach as well. Dr. Rahban has performed many rhinoplasties both open and closed, and says where only a small amount of work is warranted, a closed rhinoplasty may be a good choice. Although the scar with an open rhinoplasty becomes almost invisible in many patients, the closed rhinoplasty does have the advantage of having no scar. Additionally, a closed rhinoplasty has a short term advantage of having somewhat less swelling during the recovery period. If your nose job can be done closed, it is worthwhile to have the conversation about whether this option makes sense for you. A closed rhinoplasty may be a good choice for some patients who need a minimal amount of work done. However, in treating thousands of patients, Dr. Rahban finds that often people need more work done on their nose than they think. In many cases a patient will ask for what seems like a small cosmetic change, but learns their request may involve a more significant amount of detail-oriented work. Dr. Rahban is especially committed to creating the foundation of a nose job that will last well through the aging process, instead of making quick cosmetic changes with only short-term benefits. During a detailed private consultation, many patients come to realize that even the small cosmetic change they’re requesting, has greater implications on the nose’s structure and architecture, to give them the results they seek. A closed rhinoplasty, in many cases, does not provide the visibility or access to allow a surgeon to perform the most detailed and accurate of bone and cartilage enhancements. One important consideration when thinking about open vs closed rhinoplasty, is whether your nose job will be reconstructive or reductive. A reductive rhinoplasty involves removing from the nose. This is more common in patients who feel their nose is too large for their face. 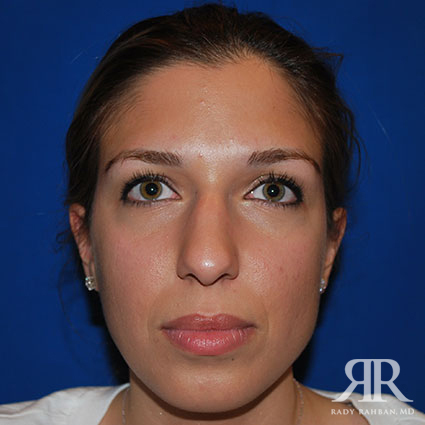 A reductive rhinoplasty - which can be done closed in some cases - is somewhat more simple in technique, compared to a reconstructive rhinoplasty. 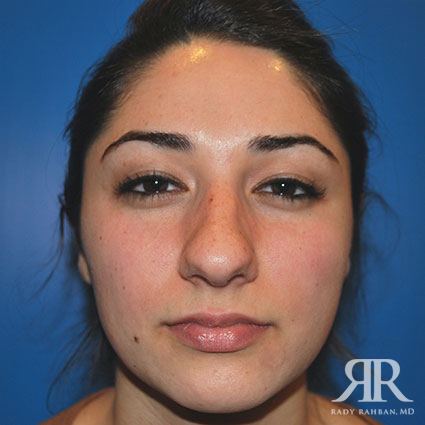 A reconstructive rhinoplasty often involves Dr. Rahban’s most advanced techniques, and is best performed as an open procedure. With the amount of work needed for a complex reconstructive surgery, open rhinoplasty gives the visibility and access necessary to do comprehensive work on each part of the nose’s structure. How visible is the scar in an open rhinoplasty? The scar created in an open rhinoplasty is from the trans-columellar incision. This small incision is made between the nostrils. If this incision is closed well, after healing most patients find this scar is practically invisible. Dr. Rahban always closes his trans-columellar incision himself, which helps to ensure this scar under the nose will heal very well. From a clinical standpoint, this area between the nostrils seems to be one of the best areas on the face for healing, so as long as the incision is closed well, it is very unlikely people will see it. Does skin color affect whether an open vs closed rhinoplasty should be performed? Sometimes patients ask us if any particular skin color is more likely to have a visible scar from the trans-columellar incision of an open rhinoplasty. The answer is no. Both light skin and dark skin patients find that the small scar created during an open rhinoplasty, usually heals so that it is virtually invisible. The primary deciding factor in open vs closed is what specifically will be changed in the nose. What is the difference in recovery between an open and closed rhinoplasty? A closed rhinoplasty will often have slightly less swelling during the recovery period, but overall the recovery is similar. Regardless of the type of nose job you have, the first week will often include swelling, bruising, and feeling like your nose is stuffy. Most patients do not describe their recovery process as painful, but it is normal to be uncomfortable. You should improve after the first week, but can expect to have several weeks of swelling. Some patients have more bruising and swelling than other - regardless of whether an open or closed rhinoplasty is performed. These side effects can depend on how extensive your nose job was, your genetic predisposition to heal quickly, and lifestyle choice you make during recovery. For instance, patients often find that sleeping with their head elevated, eating nutritious and low-sodium food, and not pulling clothes over their heads, can all help reduce swelling and make recovery easier. How are the results different in an open vs closed rhinoplasty? If a highly skilled and experienced rhinoplasty surgeon believes that your goals can be achieved through a closed rhinoplasty, these results should not be any lesser than they would be with an open rhinoplasty. However, remember that an open rhinoplasty allows for a much larger range of work and precision. 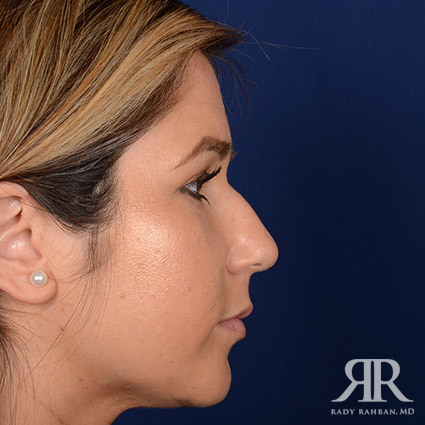 For most patients, if they were to say they only wanted a closed rhinoplasty, they would be limiting their potential results since Dr. Rahban would not have full access to analyze their anatomy and use the advanced grafting techniques many of his patients want. When you’re considering a rhinoplasty, you may be wondering if an open vs closed rhinoplasty is the best choice for you. While these two types do differ, choosing open vs closed should not be a priority in your initial search. The skill and experience of the surgeon you choose will have far more of an impact on your rhinoplasty results, compared to whether that operation is open or closed. If you would like a comprehensive private consultation with Dr. Rahban, please contact our offices for arguably the best rhinoplasty Los Angeles has to offer.